Over four decades and tens of thousands of road miles after singer/songwriter/multi-instrumentalist Randall Bramblett released his first solo album, disc number 11 shows no sign of the wear and tear that being a professional musician for nearly your entire working life can take on even the sturdiest human. Sure, there was a 12 year solo layoff between 1976 and ’98; but that time was filled as a member of both Sea Level and Steve Winwood’s backing ensemble, the latter gig lasting 16 years. And since signing with New West back in 2001, Bramblett has been churning out terrific, tuneful, often gritty and always idiosyncratic if under-the-radar work with regularity. Kudos to the indie imprint for sticking with Bramblett, allowing him the freedom to craft, develop and define his sound despite less than chart-busting sales. Perhaps, as he sings in the darkly humorous, lightly funky opening track, “That’s why they love me/ I got no Plan B.” More likely, the label knows it has a quality artist on their hands, just one song away from a hit. Whether that track is on the intriguingly titled Juke Joint at the Edge of the World is unclear. What’s of little doubt is that Bramblett shows no sign of slowing down as he and his band, comprised primarily of long-time sidemen like drummer/co-producer Gerry Hanson, bassist Michael C. Steele and guitarist Davis Causey, run through ten more reasons why the once sideman/now frontman is a classy, roots rocking journeyman on the verge of breaking out. Musically, the album’s combination of Steely Dan twisted jazz (especially on the smooth groove of “Pot Hole on Main Street”), Traffic-styled psychedelics and Beck influenced lyrical weirdness (Bramblett covers Beck’s bizarre “Devil’s Haircut” as his first recorded non-original) remains compelling and inventive. Unlike 2015’s Devil Music that featured recognizeable sidemen like Mark Knopfler, Derek Trucks and old Sea Level buddy Chuck Leavell, he sticks with his veteran touring band. That provides a looser feel on tracks like the wiry, horn enhanced jazz/funk of “Garbage Man” and “Fine” with its harder edged rock, washes of organ and Bramblett’s synthesized sax. The sound shifts towards an East Indian influence for “Mali Katra,” with obtuse but seemingly spiritually oriented lyrics such as “40 buzzards on the cell tower/ phone buzzing on the console/ Man, I wouldn’t take that call… / needles falling on my windshield” and the appropriately titled “Trippy Little Thing” that features backwards sounding treated guitar and Bramblett’s occasional falsetto vocals. With words that are evocative at best and enigmatic but never pretentious, at worst (many sung from the first person to add even more mystery), along with inexplicably odd cover art, Bramblett is channeling some strange if always stimulating concepts. But the music, marinated in Southern swamp and alternating between sing-along catchy and more hypnotically mellifluous melodies, along with the singer’s dusky voice, is so consistently captivating and creative, it’s impossible not to return for multiple spins. 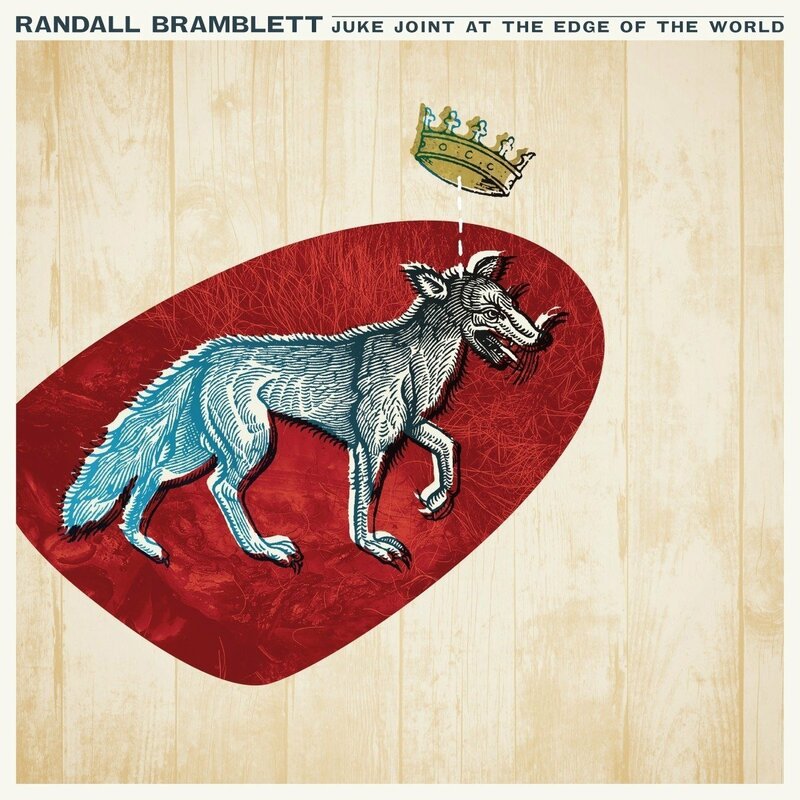 Like its haunting yet amusing title, Juke Joint at the End of the World is both familiar and oblique, simmering in Bramblett’s established style while bringing energy and imaginative passion to the table that, this far into his extensive career, is refreshing and even revelatory.